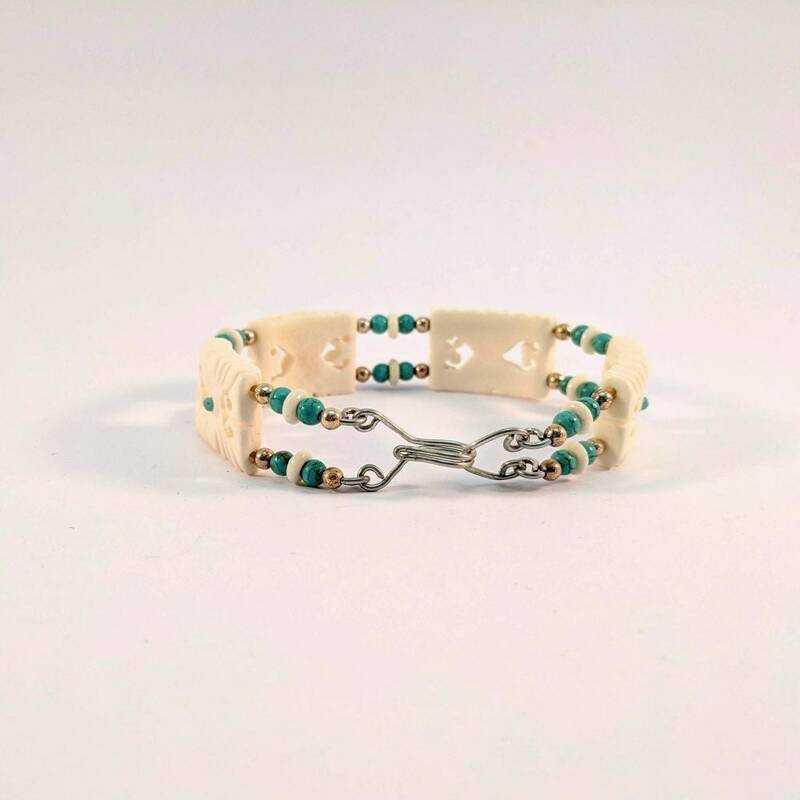 An original design! 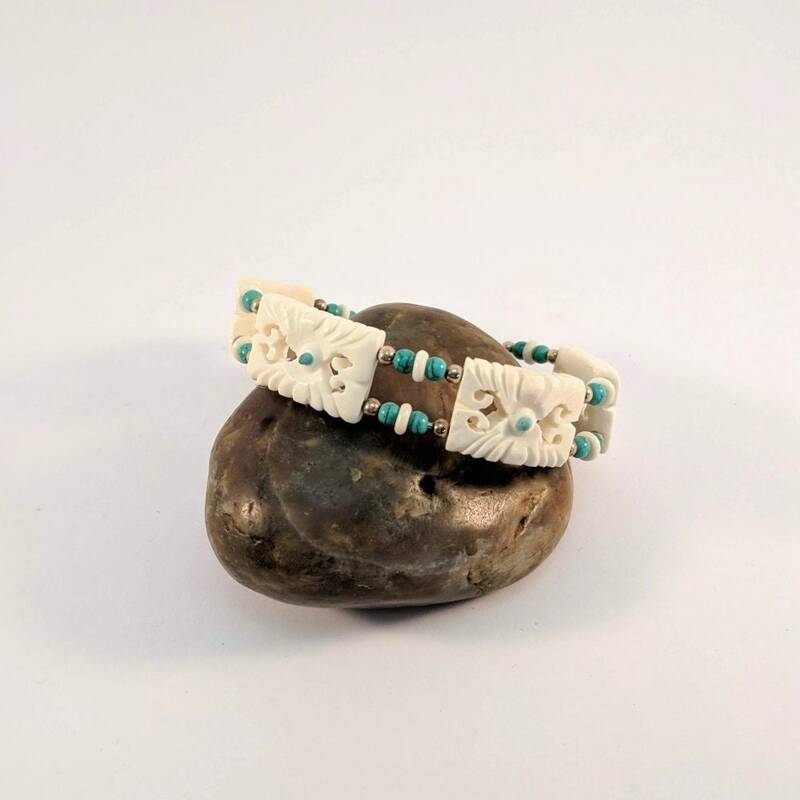 A unique bracelet with 16x25mm (approx. 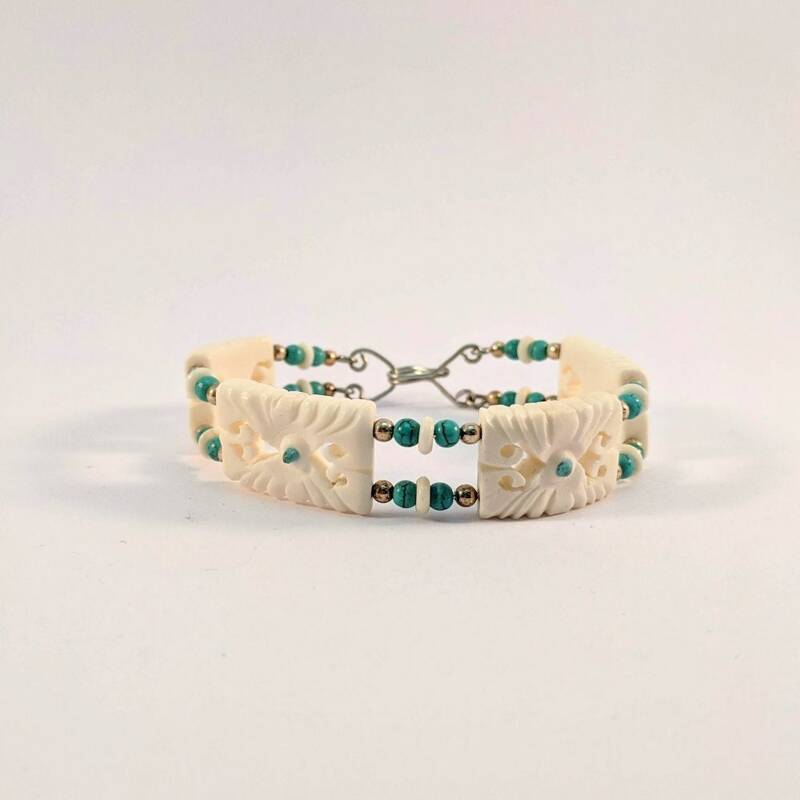 1") carved bone beads on a wire structure. 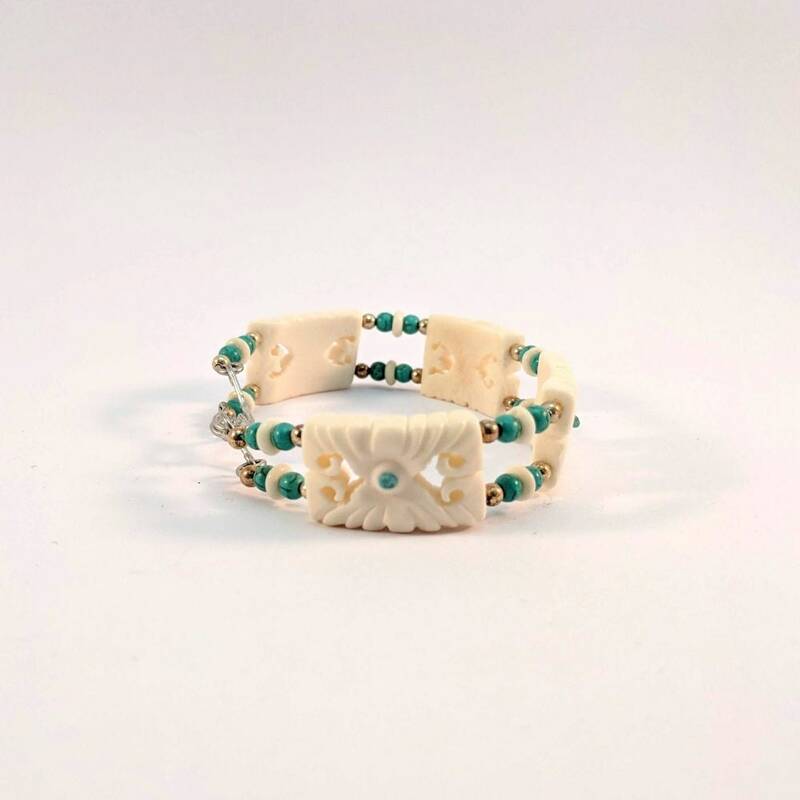 There are 4mm turquoise round beads, bone disc and silver spacer beads to complete the unique design. The closure is a handmade hook and eye. Breath Taking! 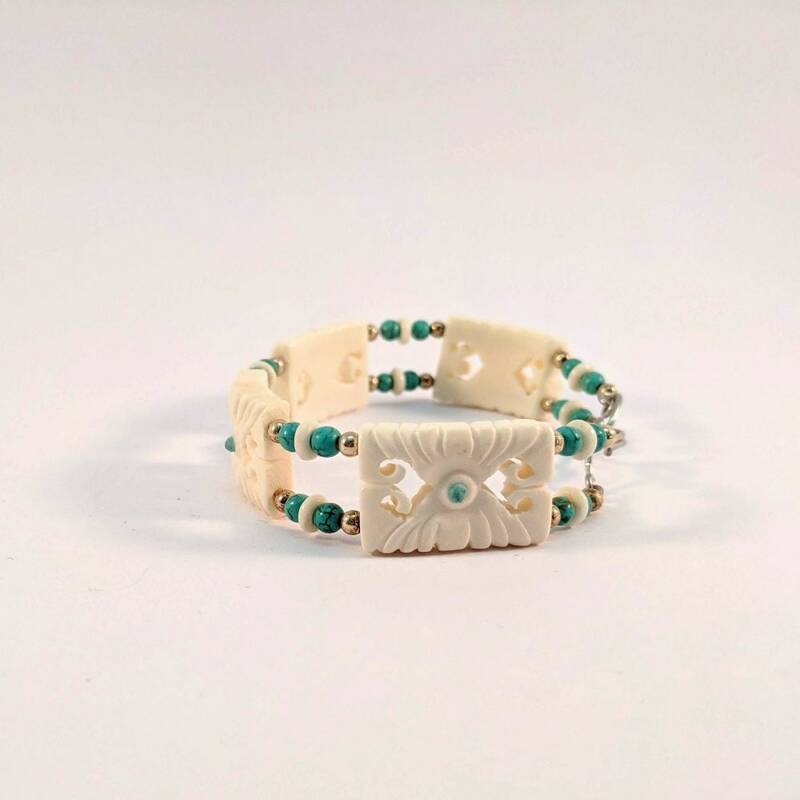 The bracelet listed is 16mm at its widest and will fit a 7" wrist. Please send your wrist measurement so that the closure can be replaced with a larger or smaller size, if necessary. 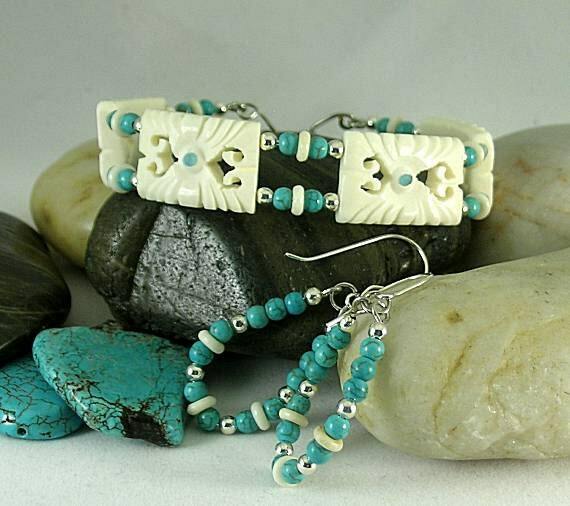 The matching turquoise earrings shown in the picture are listed separately. 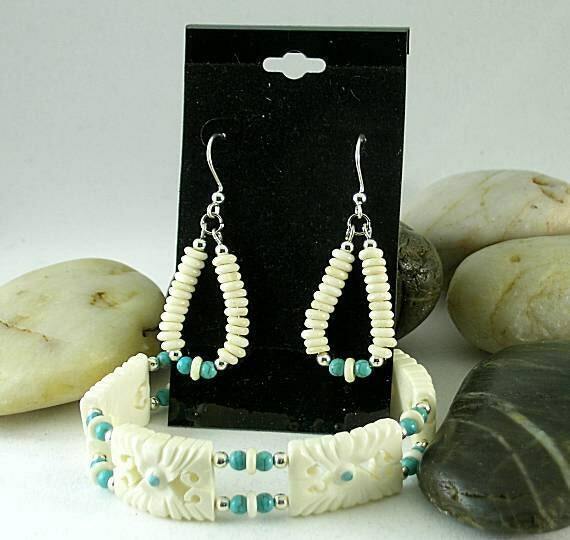 The traditional bone earrings shown in the last picture are listed separately.